Widebody aircraft on the market. 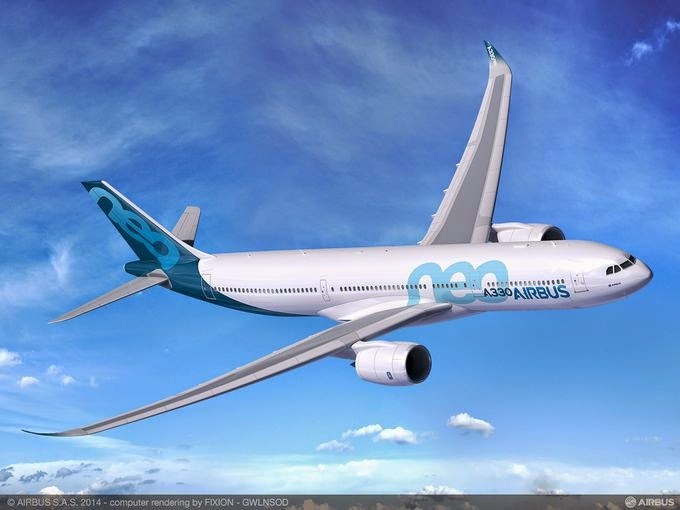 In addition to greater fuel savings, A330neo operators will benefit from a range increase of up to 400 nautical miles and all the operational commonality advantages of the Airbus Family. Deliveries of the A330neo will start in Q4 2017. “The A330neo is the logical evolution of our reliable and versatile A330 Family. It provides an optimal solution for airlines around the world looking to minimise their fuel and operating costs while offering best-in-class comfort to their passengers,” said Fabrice Brégier, Airbus President and CEO. Pilots will benefit from latest generation cockpit systems, and the already very comfortable A330 cabin will be further optimised to offer up to ten additional 18 inch wide seats. Passengers are winners too, as they will be able to enjoy a 21st century on-board experience with for example, fourth generation In Flight Entertainment (3D films), mood-lighting and full connectivity.